There are plenty of SEO tools available on the Web, and most of them are great for giving you a simple keyword density analysis. This is important to any writer who publishes work online, since SEO works best when following keyword density protocol and clients may even request a certain number of keywords per piece of writing. So it helps to have a tool that enables you to determine the keyword density of an article you’ve written, and you may also need to compare this with your total word count to get a keyword-to-plain text ratio. But wouldn’t it be great to have one tool that also picks out keywords and keyword phrases in a visually effective way? After all, readers are going to be looking at your text and perceiving word placement as well as comprehending your meaning. 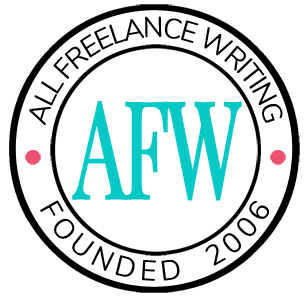 All Freelance Writing's keyword density analyzer, can make that happen and get you and your writing on the way to online success. You can advertise the fact that you analyze readability and SEO for every piece you write. Clients will be happy to take advantage of this fact and may even send you a set of keywords to use, including their company name. Tell clients that you can offer increased accessibility to their websites, brand visibility, targeted traffic, and better usability ratings. All of this can be accomplished with effective SEO strategies and readable pieces. You’ll get increased exposure when your writing is read by more people, even if it’s not your website. A simple byline will do the trick. Once you’ve got successfully optimized articles online and are attracting more readers, you’ll have social proof for future clients that your writing is readable and your keyword densities are on-target. You can increase your readability, SEO, and success when you take advantage of the keyword density analyzer. This tool is unique, free, and can improve your writing on a daily basis. It’s easy to use and even allows you to set a minimum character limit, which removes two- or three-letter words from your total word count. In addition to keyword density and word count, you’ll notice that once the tool has performed its analysis, each keyword or keyword phrase is highlighted in a different color. This enables you to quickly and easily pick out the most important pieces of text for readers so you can improve the overall readability of your article. Check out the following tips to help you make the best use of the readability information you gather from the keyword density analyzer. Make use of space between paragraphs. Your paragraphs don’t have to be long, but you shouldn’t be spacing every other sentence, either. Try to position your keywords so that they easily catch the eye’s attention in the first and last lines of your paragraphs. Now that you know which phrases are important, you can take out some of the filler. No matter what you’ve written, you can always remove something without changing the content, so keep your articles from overwhelming readers by editing after keyword density analysis. If you can put some of your keywords into your headings, this will go far toward increasing readability. Try to find a pull quote (from a relevant and credible source) that contains one of your keywords, then make sure you place the quote near the top of the page in an obvious format (such as a colored box with larger font). Maria Rainier is a freelance writer and blog junkie. She is currently a resident blogger at First in Education and performs research surrounding online schools. In her spare time, she enjoys square-foot gardening, swimming, and avoiding her laptop. Read more posts from Maria Rainier. Cool tips! I haven’t used the Keyword Density Analyzer yet, but it would definitely come in handy for a niche site side project that I’m currently working on. Thanks! Thank you the reminder about SEO and SEO tools! It’s been awhile since I’ve used a keyword analyzer.